Read more about The Little Beet and all of our NYC picks in New York City: The Gluten-Free Guide, available now on Amazon. Dining out in New York City can quickly turn into an indulgent experience. 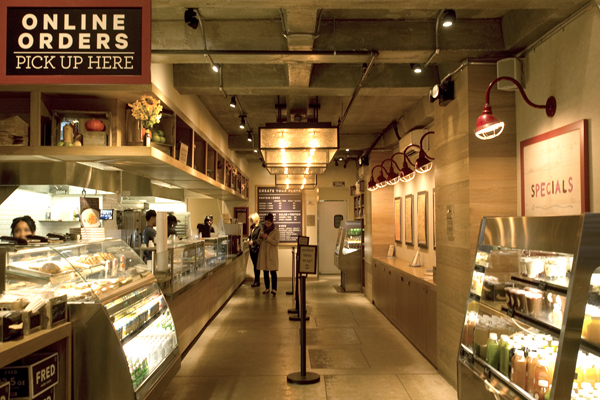 With top-notch gluten-free options for pizza, risotto, and brunch, not to mention gluten-free bakeries scattered throughout Manhattan, it’s easy to see that rich food reigns in the city. A healthier choice, however, is not only equally delicious but is also “guiltin’ free.” At Midtown’s The Little Beet, gluten-free healthy food abounds—in fact the restaurant’s entire menu is 100% gluten-free, simple, nutritious, and incredibly tasty. 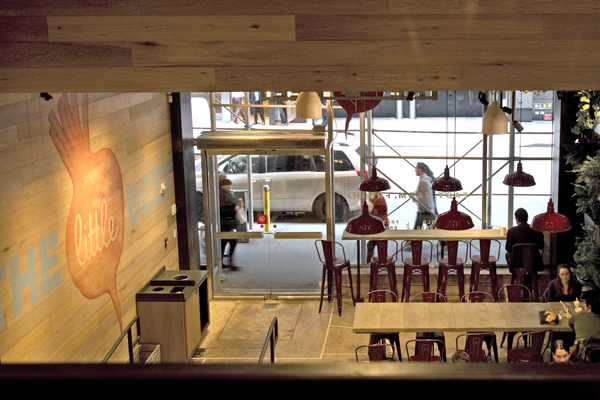 The Little Beet’s concept will sound familiar to fans of fast casual dining. Choose a protein (chicken, tofu, steak, or salmon) and any number of sides, which include grains, vegetables, and legumes. A sides-only bowl is a tempting alternative (choose up to four to make a meal), as are soups, salads, and cold-pressed juices. If you’ve saved room for dessert, The Little Beet even features a well-stocked dessert case with cookies, bars, and brownies. Everything is gluten-free! By and large, the myriad components that make up The Little Beet’s menu appear simple but are deceptively complex. 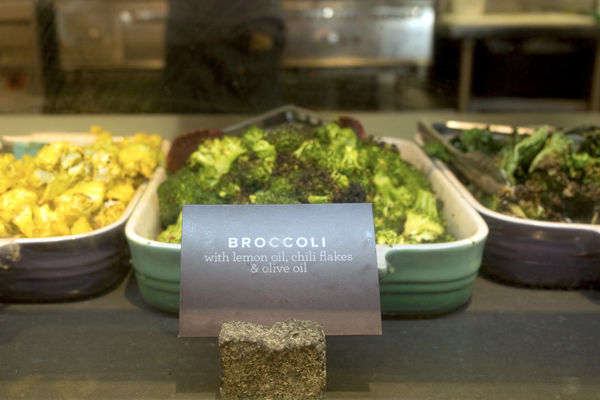 Sides listed simply as “Quinoa” or “Charred Cauliflower” are actually intricate dishes with deep flavors. Fresh herbs, spices, and healthy fats and oils add unbelievable zest to each dish. 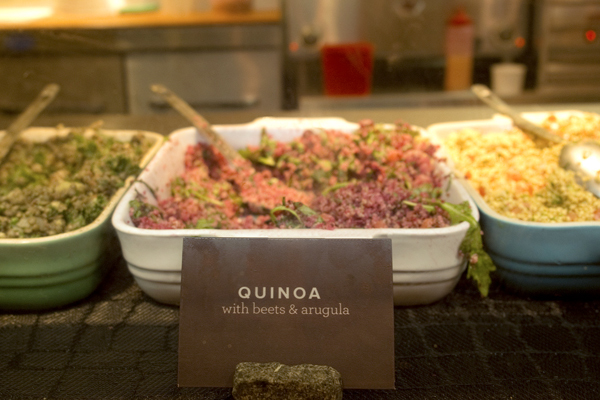 The quinoa, made with beets and arugula, is rich, smooth, lightly beety, and nicely spiced. The Southwest style millet, in a stroke of genius, is blended with avocado and jalapeño, making this essentially a perfect dish for guacamole lovers. As operating partner Andy Duddleston explains, gluten-free is a significant part of The Little Beet’s identity, but it’s not a feature that’s overtly advertised. The primary focus here is on fresh, healthy, sustainable food and a menu that chef Frankin Becker develops in close consultation with nutrition experts. The restaurant also emphasizes an economically viable lifestyle for its staff, which contributes considerably to The Little Beet’s sustainable and guilt-free mission. This restaurant, which is just about to celebrate its first anniversary, is a truly delicious gem. Where? Visit The Little Beet for a quick meal or sit down for a leisurely dining experience at The Little Beet Table, which just opened in November 2014. 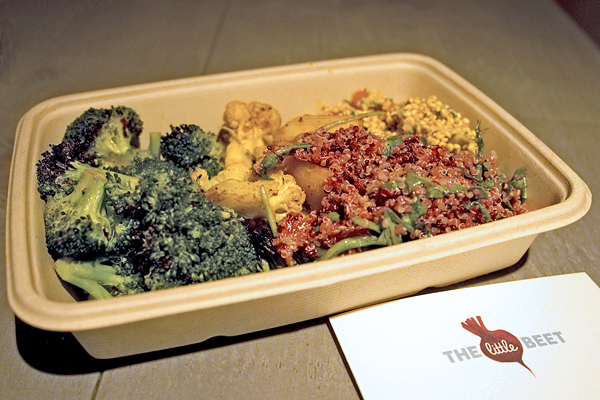 The Little Beet is in Midtown Manhattan: 135 West 50th Street, New York, NY 10020 (212-459-2338). I went there for breakfast while in NYC and got a bacon, egg, and cheese sandwich on a muffin. It was excellent! I’ll definitely have to go for lunch next time!